After a rotten October and limp November, the s&p 500 tumbled in value by 15% between November 30th and December 24th. Despite an astonishing bounce of 5% the day after Christmas, the index finished the year 6% below where it started (see chart). The first trading day of 2019 extended the market wobble, with stocks closing down in Asia and gyrating in Europe. After markets closed in America, Apple warned that a sharp slowdown in China’s economy, and weak sales in other emerging markets, meant revenues in the fourth quarter would undershoot expectations by up to 10%. Coming a day after news that China’s manufacturing sector contracted in December, that spooked investors globally. s&p 500 futures dipped before Wall Street re-opened on January 3rd. That investors have become more risk-averse can also be seen in the bond markets. 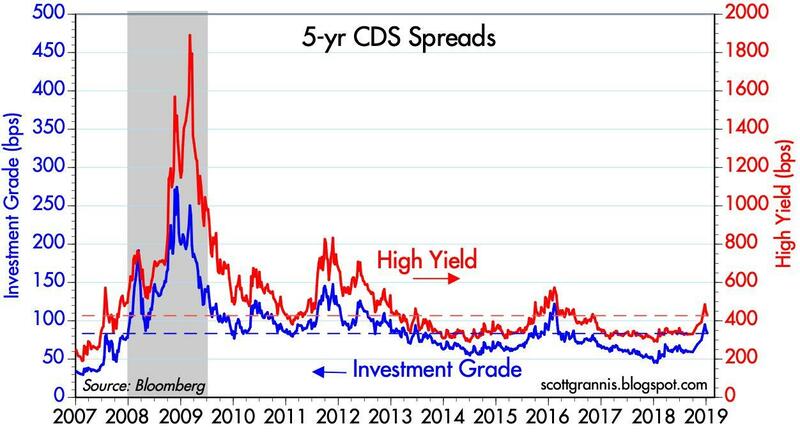 The high-yield spread, or excess interest rate over government debt, paid by companies with a poor credit rating has been rising. Meanwhile the yield on the ten-year Treasury bond has dropped from 2.98% to 2.63% over the past month, as investors have rushed to the safety of government paper. 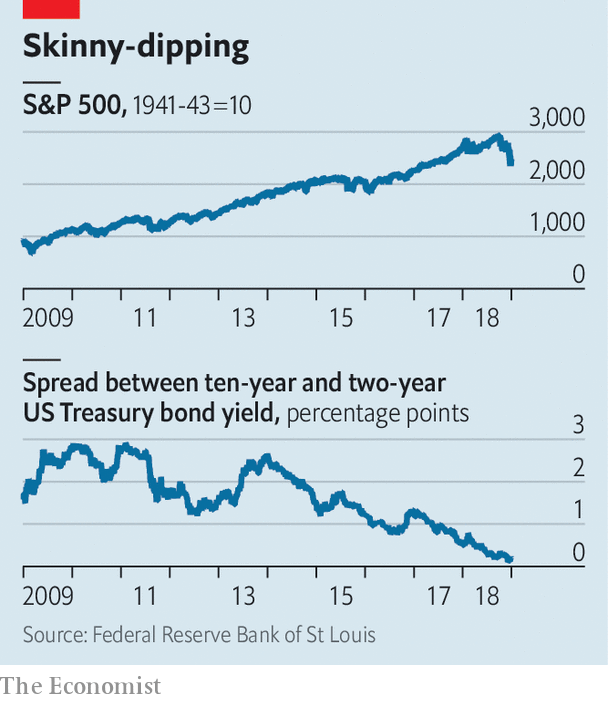 What is more the yield curve—the difference between yields for short- and long-dated government debt—is almost flat. The market’s response to signs of slowing growth is itself a cause of jangling nerves. Economists at J.P. Morgan have developed a model based only on the historical predictive power of the stockmarket, credit spreads and the yield curve; that implies the probability of a recession in America in 2019 is as high as 91%. There are other reasons for investors to be skittish. The effect of President Donald Trump’s stimulus package, which came into force a year ago, is likely to fade soon. There are further signs of economic slowdowns in China and Europe. Tariffs, and the threat of further trade disputes, have probably deterred investment. Profit forecasts have been scaled back. 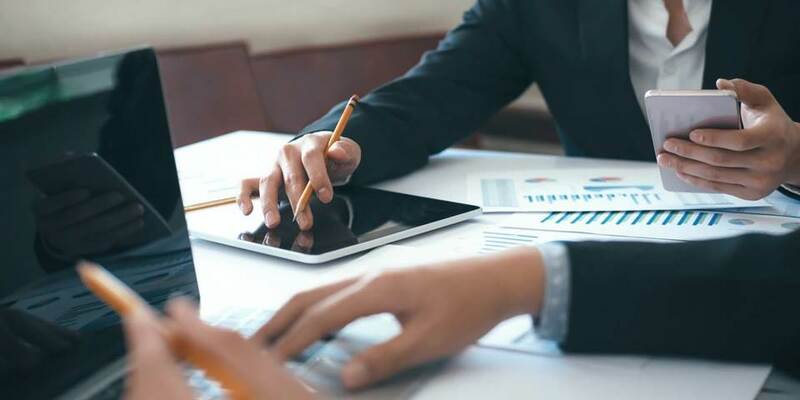 According to Factset, a research firm, at the end of September analysts expected earnings to grow by 10.4% on average for companies in the s&p 500 in 2019. Now they reckon the figure will be 7.9%. Missteps by the American administration have added to the sense of unease. The government shutdown may presage further political battles to come. A startlingly incompetent attempt on December 23rd by Steven Mnuchin, the treasury secretary, to calm market jitters by saying that banks have “ample liquidity” made things worse (bank liquidity had been nowhere among investors’ worries until he mentioned it). And reports that Mr Trump was considering firing Jerome Powell, the chairman of the Federal Reserve, raised questions about the administration’s competence to manage any downturn. Perhaps the main concerns, though, are provoked by the Fed itself. On December 19th its Open Markets Committee (fomc) delivered its fourth interest-rate increase of 2018, even though financial conditions have tightened to become less supportive of growth. Mr Powell also said he did not see an imminent change to the Fed’s policy of running down its balance-sheet “on automatic pilot”. That added to fears that monetary policy will tighten beyond what the economy can bear. Of the forecasters surveyed by the Wolters Kluwer Blue Chip Financial Forecasts, 46% reckon the Fed’s landing point for interest rates will be above their estimate of the long-run neutral Fed funds rate (a level at which the bank is trying neither to boost nor to slow activity). Only 10% thought it would be below. The median expectation of members of the fomc for the number of interest-rate hikes in 2019 has fallen from three to two. The futures market suggests investors expect none at all. The reason monetary policymakers seem so blasé compared with investors is that, setting aside the financial indicators flashing amber, America’s economy appears to be doing well. The labour market went from strength to strength in 2018, and most indicators of consumer confidence remain at ten-year highs. A different model built by J.P. Morgan analysts, this time based on short-term economic indicators such as car sales, building permits and the unemployment rate, put the probability of recession in 2019 much lower, at 26%. There are several ways this disconnect between market jitters and robust economic indicators could disappear. The direct effect of stock-owners feeling poorer could cut spending. The plunging stockmarket could hit consumer and business confidence, crimping spending and investment. Predictions of recession based on markets and financial indicators could influence economic behaviour and thus become self-fulfilling. Judging by the past couple of decades, if stockmarket turmoil persists the Fed will respond by lowering its forecasts for growth. That would feed into a looser policy stance. After announcing the rate rise on December 19th, Mr Powell reminded listeners that “some volatility” is unlikely to leave a mark on the economy, but also that the Fed had already lowered its forecast for growth and inflation “a little bit”. Fortunately for the Fed, inflation remains subdued, having come in at or below expectations in recent months. That gives the Fed’s policymakers room to be lenient, meaning they can avoid the premature tightening they have often been criticised for. Investors may sense something the Fed does not. Playing it safe will give it time to correct course if needed. There is a chance that the stockmarket will rouse itself from its slump in coming weeks. But even if it does, the Fed has re-emphasised its “data-dependent” approach to interest rates. That is central-banker speak for “less predictable”. The coming year is likely to be bumpier than investors have become accustomed to. China’s economy is slowing so much it even tripped up Apple, while the clock ticks on the 90-day cease-fire in the U.S. trade feud. Less noticed amid the headlines is a major shift in the Chinese economy that is quietly beginning to upend the global financial system. 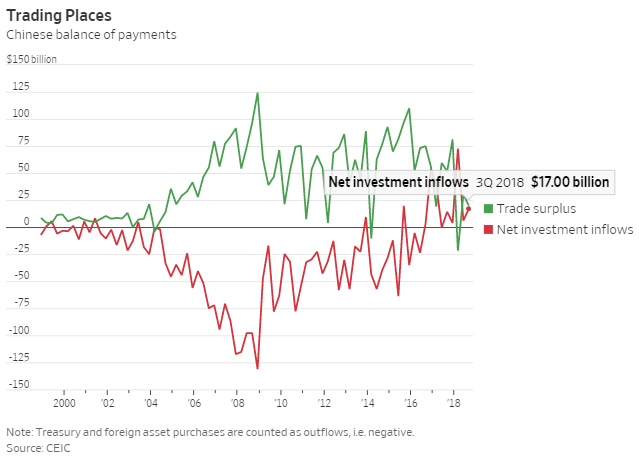 China, long the world’s heavyweight saver and a huge buyer of foreign assets like Treasurys, is now a big spender—a trend the current cyclical growth dip is unlikely to permanently derail. 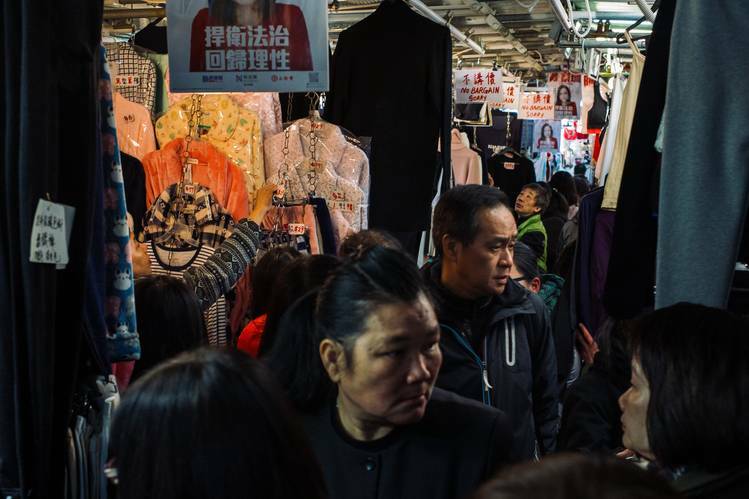 In early 2018, China got more of its growth from consumption than the U.S., the reigning king of consumer spending. As Chinese spend more at home and abroad, the country’s total trade surplus with the rest of the world has shriveled to a fraction of its former size. The shift has enormous implications for global capital markets: everyone from retirees investing in U.S. Treasurys to fund managers investing in markets like Indonesia or India. It could also, eventually, help ease some of the frictions between the U.S. and China. China still exports tons of goods. But as its people have become wealthier, they are consuming more too. In 2015, the country exported around $150 billion worth of goods more than it imported each quarter. In the third quarter of 2018, the goods trade surplus was just $100 billion. Meanwhile China’s net spending on foreign services, mostly tourism, surged from $50 billion to more than $80 billion over the same period. Some part of that is travelers sequestering cash abroad to evade China’s strict controls on overseas investment—but anyone who has been in the world’s major cities in the past few years has witnessed the tidal wave of Chinese tourist spending. All the those tourists are a windfall for tour operators and handbag vendors, but their spending sprees mean China, in aggregate, has less left over for other assets: for instance U.S. Treasurys. Beijing is no longer buying dollars to keep mushrooming trade earnings from pushing up the yuan, but rather the opposite. 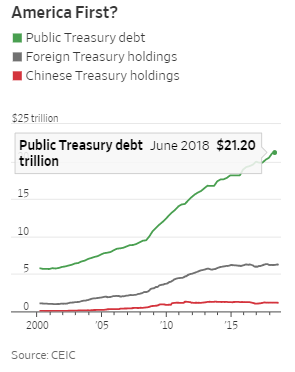 Chinese holdings of Treasurys peaked at $1.3 trillion in 2013 and have nosed downward since to $1.1 trillion—a trend that could accelerate in 2019 if new U.S. tariffs further reduce Chinese exports. Less Chinese capital flowing into U.S. government bonds may not seem like a big deal now with yields falling as investors flee wobbly equity markets. But it could weigh on Treasury prices over the long run. Total foreign Treasury holdings have been essentially flat since 2014. But overall Treasury debt is up about 20% since then. The risk is that lower demand for its bonds means the U.S. government has to pay more to borrow. That would drive up rates for businesses and consumers as well. The more immediate impact has been a huge hit to emerging markets. As China consumes more, it saves less, meaning there is less money available for investment. Beijing has been trying to attract more foreign capital to fill in the gap. 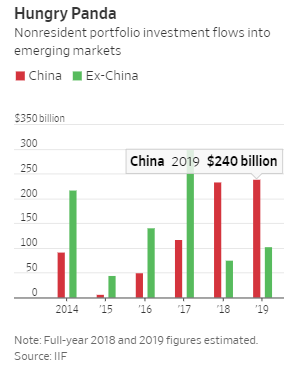 Emerging markets suffered last year not only because of the rising dollar, but because China is attracting unprecedented inflows to its stock and bond markets. China in the second quarter alone attracted $61 billion of net portfolio investment inflows—triple the quarterly levels it was drawing in as recently as 2014. All other emerging markets, meanwhile, likely saw a 2018 full-year net outflow of $45 billion according to Institute of International Finance data. The IIF estimates China captured 75% of nonresident portfolio investment in emerging markets in 2018 and will absorb around 70% in 2019, up from just 28% in 2017. One implication: Even if the dollar weakens in 2019, many emerging economies could still struggle, because they are now competing with China for foreign investment capital. In the short term, that may be one reason for cautious optimism about a U.S.-China trade deal. The two sides agreed to a 90-day standstill in their trade battle in early December, with the U.S. postponing plans to increase tariffs on $200 billion in Chinese goods and the two sides entering negotiations on other contentious issues. China may not budge on U.S. demands to cease supporting critical technology industries like microchips and robotics, but it does need more foreign cash—most obviously for industries like health care where prices are too high and service often horrendous. 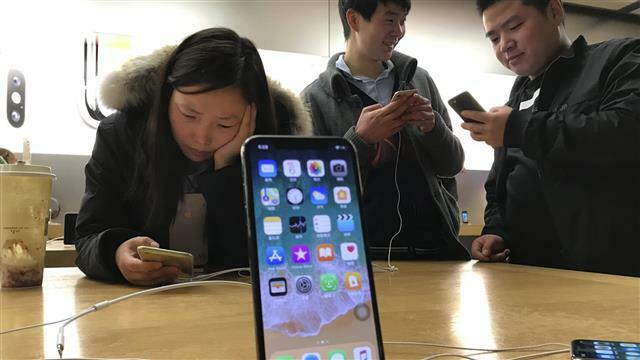 U.S. investors this week were focused on the surprising news that Apple ’siPhone sales were falling short of expectations in China, and fretting about what that might augur for the months to come. But over time, what will matter more to global markets is the big rise in Chinese consumer demand, the big fall in Chinese savings and the big increase in China’s need for foreign capital. With policy interest rates near zero in most advanced economies (and just above 2% even in the fast-growing US), there is little room for monetary policy to maneuver in a recession without considerable creativity. But those who think fiscal policy alone will save the day are stupefyingly naive. CAMBRIDGE – If you ask most central bankers around the world what their plan is for dealing with the next normal-size recession, you would be surprised how many (at least in advanced economies) say “fiscal policy.” Given the high odds of a recession over the next two years – around 40% in the United States, for example – monetary policymakers who think fiscal policy alone will save the day are setting themselves up for a rude awakening. Yes, it is true that with policy interest rates near zero in most advanced economies (and just above 2% even in the fast-growing US), there is little room for monetary policy to maneuver in a recession without considerable creativity. The best idea is to create an environment in which negative interest-rate policies can be used more fully and effectively. This will eventually happen, but in the meantime, today’s overdependence on countercyclical fiscal policy is dangerously naïve. There are vast institutional differences between technocratic central banks and the politically volatile legislatures that control spending and tax policy. Let’s bear in mind that a typical advanced-economy recession lasts only a year or so, whereas fiscal policy, even in the best of circumstances, invariably takes at least a few months just to be enacted. In some small economies – for example, Denmark (with 5.8 million people) – there is a broad social consensus to raise fiscal spending as a share of GDP. Some of this spending could easily be brought forward in a recession. In many other countries, however, notably the US and Germany, there is no such agreement. Even if progressives and conservatives both wanted to expand the government, their priorities would be vastly different. In the US, Democrats might favor new social programs to reduce inequality, while Republicans might prefer increased spending on defense or border protection. Anyone who watched the US Senate confirmation hearings last September for Supreme Court Justice Brett Kavanaugh cannot seriously believe this group is capable of fine-tuned technocratic fiscal policy. This does not mean that fiscal stimulus should be off the table in the next recession. But it does mean that it cannot be the first line of defense, as altogether too many central bankers are hoping. Most advanced countries have a considerable backlog of high-return education and infrastructure projects, albeit most would take a long time to plan and implement. If left-leaning economists believe that fiscal policy is the main way out of a recession in 2019 or 2020, they should be lobbying for the government to prepare a pile of recession-ready projects. Former US President Barack Obama wanted to create an infrastructure bank in part for this purpose; tellingly, the idea never got off the ground. Likewise, many observers advocate bolstering “automatic stabilizers” such as unemployment benefits. Europe, with much higher levels of social insurance and taxation, has correspondingly stronger automatic stabilizers than does the United States or Japan. When incomes fall, tax revenues decline and insurance payments rise, providing a built-in countercyclical fiscal stimulus. But proponents of higher automatic stabilizers pay too little attention to the negative incentive effects that come with higher government spending and the taxes needed to pay for it. To be clear, like many academic economists, I favor significantly raising taxes and transfers in the US as a response to growing inequality. But if there were a broad political consensus in favor of moving in this direction, it would have happened already. A more exotic concept is to create an independent fiscal council that issues economic forecasts and recommendations on the overall size of budgets and budget deficits. The idea is to create an institution for fiscal policy parallel to the central bank for monetary policy. Several countries, including Sweden and the United Kingdom, have adopted much watered-down versions of this idea. The problem is that elected legislatures don’t want to cede power, especially over taxes and spending. One can appreciate why central bankers don’t want to get gamed into some of the nuttier monetary policies that have been proposed, for example “helicopter money” (or more targeted “drone money”) whereby the central bank prints currency and hands it out to people. Such a policy is, of course, fiscal policy in disguise, and the day any central bank starts doing it heavily is the day it loses any semblance of independence. Others have argued for raising inflation targets, but this raises a raft of problems, not least that it undermines decades of efforts by central banks to establish the credibility of roughly 2% inflation. If fiscal policy is not the main answer to the next recession, what is? Central bankers who are serious about preparing for future recessions should be looking hard at proposals for how to pay interest on money, both positive and negative, which is by far the most elegant solution. 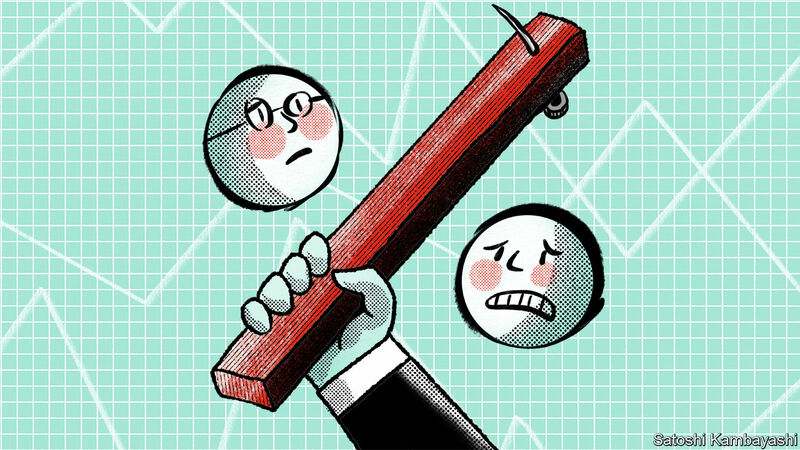 It is high time to sharpen the instruments in central banks’ toolkit. Over-reliance on countercyclical fiscal policy will not work any better in this century than in it did in the last. - The Fed and the market are dancing together again, with both participants expecting no further Fed tightening moves for the foreseeable future, but with a possibility of an ease later this year. 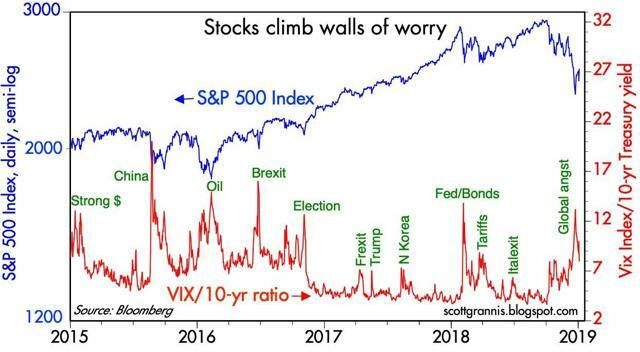 - If Trump can turn down the tariff-war heat, the entire world will be breathing a huge sigh of relief, and risk markets will move decisively higher. - In addition to a pickup in US jobs growth, we also are seeing a pickup in the growth of the labor force, which increased 1.6% last year - up significantly from 0.5% growth in 2017. - There are still a lot of concerns out there, but we are moving in a positive direction. Two weeks ago I noted that the Fed had screwed up badly. But all was not lost: "all it takes is a few words to put things right. The damage done to date is not significant or permanent, and it is reversible." Today, we got those words: according to Powell, the Fed is "listening carefully to the markets." The threat of an overly-tight Fed has now all but vanished. The Fed and the market are dancing together again, with both participants expecting no further Fed tightening moves for the foreseeable future, but with a possibility of an ease later this year (i.e., the market is relieved, but still cautious). Prior to this welcome Fed news, the Labor Dept. earlier today released a surprisingly strong December jobs number which was way above expectations (+312K vs. +184K). 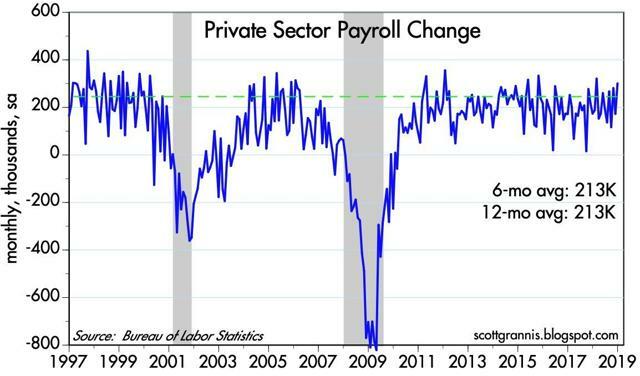 This put the kibosh on concerns the US economy was slowing down, at least for the foreseeable future. Credit spreads have rallied from their highs, though they are still somewhat elevated. 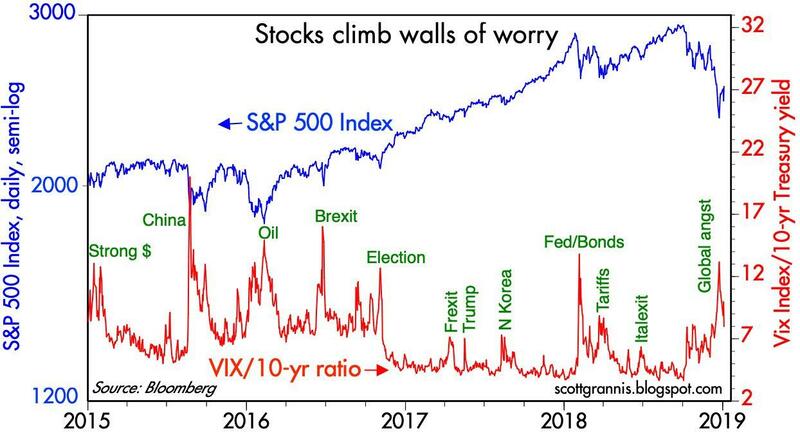 For the time being, some of the market's worst fears are being calmed. What remains to be seen is the result of the ongoing negotiations with China, which get underway next week (and in which my good friend and excellent economist David Malpass will be participating). If Trump can turn down the tariff-war heat, the entire world will be breathing a huge sigh of relief, and risk markets will move decisively higher. Already, the Brazilian and Argentine stock markets are up some 15% in just the past week in dollar terms, though they remain deeply depressed. It bears repeating that what Trump hopes to achieve is NOT higher tariffs, but rather lower or zero tariffs, lower or reduced export subsidies on the part of China, and a reduced likelihood that China will continue to expropriate US intellectual property. Any move in this direction will be a direct benefit to global trade, and that in turn will benefit all concerned. Trump is putting at risk US prosperity (by raising tariffs as a negotiating tactic) in order to force China to do something that in the end will be of great benefit to both China and the US. It's a risky gambit, to be sure, but the potential rewards are Yuge. It's also worth repeating that it seems China must be threatened in order to do the right thing, and the threat must be not only palpable but terrifying. And China won't feel that kind of pressure unless you and I (and the market) also get to the point that we are terrified of the consequences of a tariff/trade war. With luck, we may have seen the worst of this deal-making process. Long-time readers know that I routinely focus on more than just one month's worth of job statistics and on just the private sector job numbers. 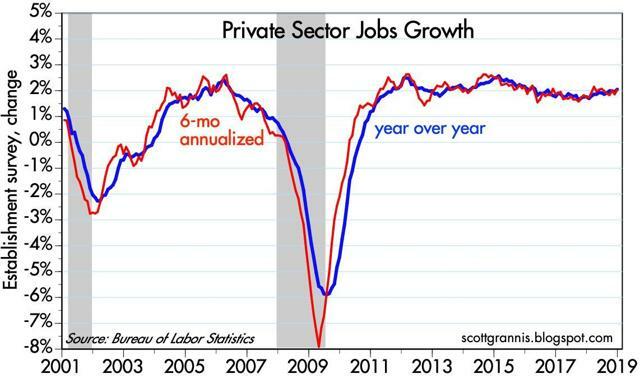 The monthly numbers are so volatile as to be almost worthless, and private sector jobs are the only ones that matter. But a six- or twelve-month average of the numbers can give us valid insights into the broad trends of the labor market. Charts #1 and #2 show that today's number, however surprisingly strong it was, was not out of line with past experience. Yes, monthly jobs growth was at the high end of its range, but as Chart #2 shows, the trend growth rate of jobs has been only slowly picking up over the past year or so. 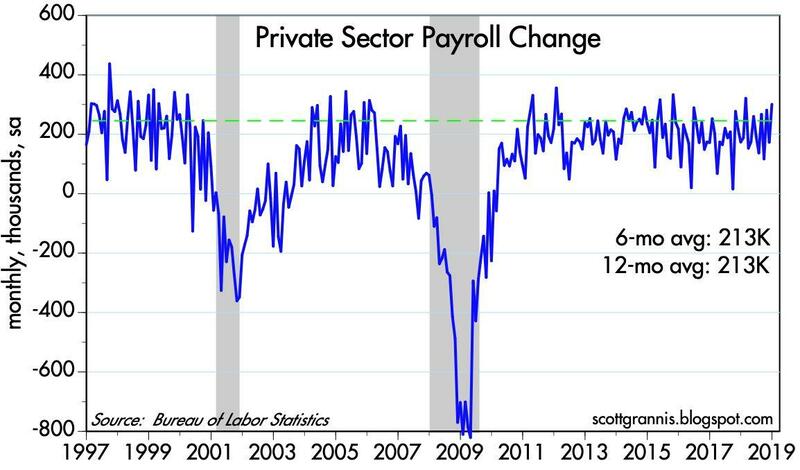 Both the 6- and 12-month growth rates of private sector jobs are now slightly above 2.0%, but that's up from a low of 1.6% in September 2017. The economy really is getting stronger, albeit slowly. The momentum of a gradual strengthening of the mighty US economy is much more significant than the ongoing marginal slowdown in the Chinese economy. In addition to a pickup in US jobs growth, we also are seeing a pickup in the growth of the labor force, which increased 1.6% last year - up significantly from 0.5% growth in 2017. It's also welcome news that the unemployment rate ticked up to 3.9%, since that means that despite the outsized growth in jobs, the number of people entering the labor force was even greater (i.e., many of the new entrants to the labor force are still looking for a job). A stronger economy and rising wages are attracting people who were formerly on the sidelines of the jobs market. News of a stronger economy has contributed to a meaningful reduction in credit spreads, as Chart #3 shows. 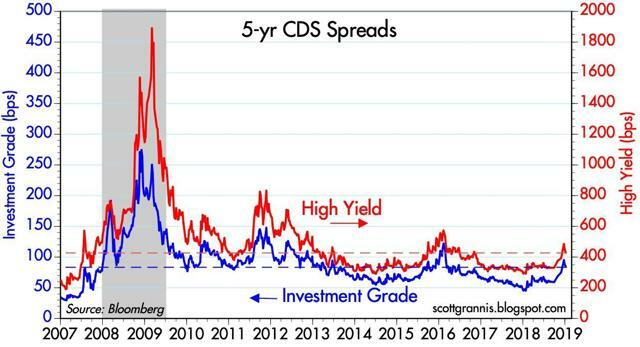 High-yield, 5-yr credit default swap spreads (arguably the most liquid and meaningful indicator of the outlook for corporate profits) have tightened by some 60 bps in the past week or so, thanks to perceptions of a stronger economy coupled with rising commodity prices and a reduced threat of an overly-tight Fed. Swap spreads remain very low and firmly in "healthy" territory. So not only is the outlook for corporate profits improving (as indicated by declining credit spreads), but also it is the case that liquidity remains abundant in the financial markets and systemic risk remains quite low. In other words, we are most likely on the recovery side of another case of "panic attack." As Chart #4 shows, the market is now much less worried (as measured by the ratio of the Vix index to the 10-yr Treasury yield) than it was just a week or so ago (the ratio has declined from a high of 13.2 just before Christmas to now 8). Last week we had the threats of 1) an overly-tight Fed, 2) a slumping economy, plus sundry other worries: China slump, trade wars, Eurozone weakness, collapsing oil prices, and the federal government shutdown. We can now scratch the first two off this list. There are still a lot of concerns out there, but we are moving in a positive direction.